To be honest, I hadn't planned on reading The Star-Touched Queen by Roshani Chokshi right away. I had it on my to-read list, and planned to get to it when I got caught up on my reading. Then I started seeing all the positive reviews for the book, and I knew I would have to check it out sooner rather than later. I'm really glad I did! I really liked the characters in the novel. The main character, Maya, has not had the easiest life. Although she is a princess, she is one who is cursed, or so people let her believe. I found her to be very strong willed, and very much determined to find where she belongs in the world. There were a lot of great secondary characters in the novel as well, including Amar, who was completely mysterious and I wanted to know more and more about him as the story went along. The storyline for the book was very unique and quite captivating as well. I've read quite a few novels lately that have been retellings of folklores, and I find myself enjoying them so very much. This book was full of twists and turns that definitely kept me guessing throughout, and with this being a standalone novel, the ending wrapped up perfectly. 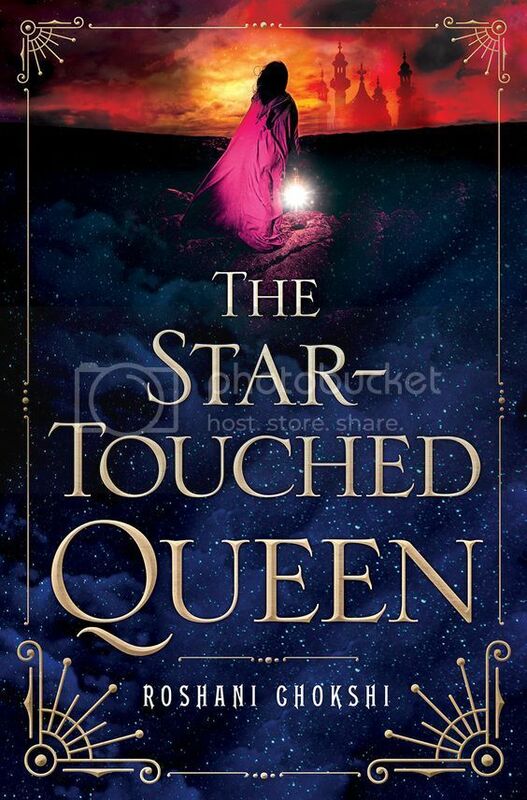 Overall; I really enjoyed everything about The Star-Touched Queen, from the great characters, the captivating storyline, and even the gorgeous cover. I'm putting Roshani Chokshi on my list of authors to keep an eye out for, as I'm definitely interested in reading more of her work in the future! I am reading this in a few days and I have heard nothing but good things! My April 2016 TBR & Most Anticipated Releases! !